We are manufacturing and supplying security safe as per the requirements. 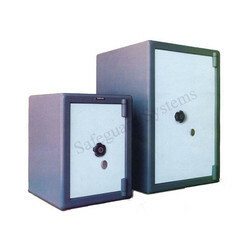 To meet the variegated demands of the clients, our company is instrumental in offering excellent quality range of Centiguard Fire Resistant Safe. Dilution: Not to be diluted. 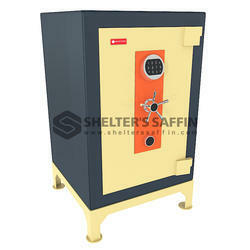 To meet the various requirements of the customers, we are involved in offering a wide assortment of Fireproof Locker. Approx Price: Starts from 4500 rs. to 7.5 Lakh rs. Certified and listed Fire Resistant safes to protect your valuable documents by safeguarding it with Centigrade – Fire Resistant Safes from Godrej. - Designed to withstand fire for up to one hour (UL -72 Class 350) and upto 2 hours at SP Laboratories, Sweden as per NT 017.